Jesse Gluyas was killed in a car accident in Santa Maria, California, on February 7, 2019, while on his way to work at Vandenberg Air Force Base. Jesse was born in Oxnard on June 6, 1993. His early life was in the Ventura and Fillmore areas, until his father relocated to Bakersfield in 2010. Jesse graduated from Frontier High in Bakersfield in 2012. After high school, Jesse worked for BARC in Bakersfield until 2015, when he transferred to work for Toyota Motor Corporation of America in Torrance for two years. 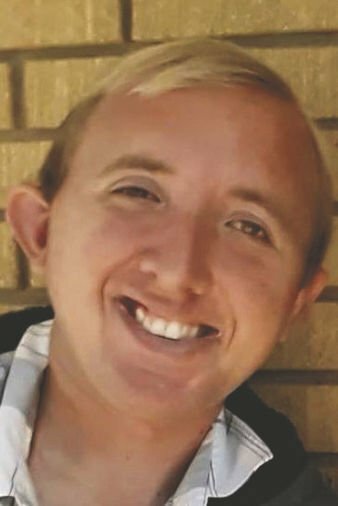 In 2017, he transferred to Solvang and Santa Maria, where he worked for Path Point and then for Vocational Training Services at Vandenberg Air Force Base, until the time of his death. In each of his hometown's Jesse was a well-known community volunteer and church member and had many friends and supporters. He is survived by his mother Dana, sister Brandi, grandparents, Donna Gluyas and Donald Gluyas, uncle and aunt, Mike and Gina Gluyas and cousins Davis Gluyas, Caden Gluyas and Ryan Teel and many close cousins, family members and friends. Services will be held at Church of Jesus Christ of Latter-day Saints, 908 Sierra Madre Avenue, Santa Maria, 93454, on Friday, February 22, with viewing at 10 AM and services at 11:00 AM. A celebration of life for Jesse and a luncheon will immediately follow the services. Directions to the luncheon will be available at the services.